The October release of our advanced image converters brought you a new GUI (graphical user interface). This is a major step forward in the development of Easy2Convert Software in the past couple of years. However, this is not the end of the path, but is only the first iteration in a new visual appearance which will come to replace the older interface. Perhaps, it’s a disputable point, but necessary. This entry was posted in News and tagged design, development, gui on October 17, 2014 by Easy2Convert. Due to our users’ requests, we’ve altered End User License Agreement (EULA) for Easy2Convert freeware. The previous edition of EULA prohibited to use our free image converters in business/commercial environment. This entry was posted in News and tagged business, commercial, eula, freeware, license, personal on February 6, 2013 by Easy2Convert. 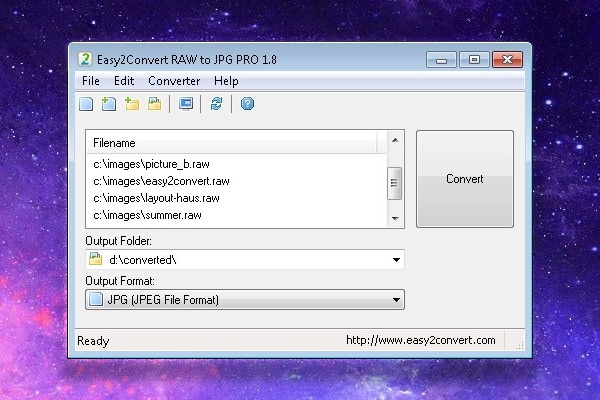 Let us describe the latest additions in Easy2Convert image software briefly, but with more details than a bare changelog has. Few fancy images will dilute the plain text and help us to demonstrate each new feature in-action. This entry was posted in News on November 20, 2012 by Easy2Convert. Hi everyone! We (at last) decided to open the official blog publicly for several reasons. First of all, to get quick and honest feedback form users of our software. Feature requests, some kind of bug-reports, criticism or reaction to newly added options in the software, positive use-cases, testimonials, what you’d like to expect from the programs… to influence and correct our further development’s direction. Secondly, we’d like to share some tips and tricks how to use our image converters more productive and efficient way. That’s going to be realized as quick advises or step-by-step tutorials. Don’t hesitate to send us requests “how to do something…” or share your experience with others as well. This entry was posted in News on October 30, 2012 by Easy2Convert.